After IOC state-owned Hindustan Petroleum Corporation Limited (HPCL) has launched home-delivery of diesel in Mumbai and has plans to expand it to other parts of the country. 'HP Fuel Connect' will "deliver diesel to select customers having fixed equipment, heavy machinery in their premises in surrounding areas of Uran, Raigad in Maharashtra," a HPCL press statement said. Indian Oil Corporation Limited (IOCL) had in March launched home-delivery of diesel in Pune. Like IOC, HPCL too has mounted a diesel dispenser, similar to the one seen at petrol pumps, on a midsized truck along with a storage tank for delivering the fuel at customer’s doorsteps in Pune. Initially, the company is targeting 'static customers' like shopping malls and commercial establishments that use diesel in gensets for producing electricity, and transport companies with large diesel consumption. "This facility will immensely help those customers who were hitherto taking diesel in barrels from petrol pumps," the statement said. "The facility will help customers avoid time loss, additional costs, fuel losses and ensure hassle free safe delivery of diesel at their premises." Oil Minister Dharmendra Pradhan had in April last year stated that the government was looking at options to home deliver petrol and diesel to cut queues at fuel stations and give consumers an option. But, for home delivery of fuel, a clearance from PESO is required as both petrol and diesel are highly inflammable fuels and require adequate safety precautions. So far, PESO has given approval for doorstep delivery of diesel only on a trial basis. 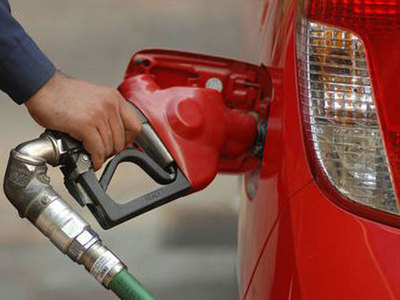 India currently has 61,983 petrol pumps with state-owned firms operating 90 per cent of them. The country consumed 194.6 million tonnes of fuel in 2016-17, nearly 40 per cent of which was diesel. Diesel consumption in 2016-17 was 76 million tonnes, while petrol was 23.8 million tonnes.